Join the Phoebes on Saturday, February 16th as we explore A.D. Barnes Park’s native Hardwood and Pine Rockland habitats in search of wintering warblers, wading birds, as well as year-round resident birds. 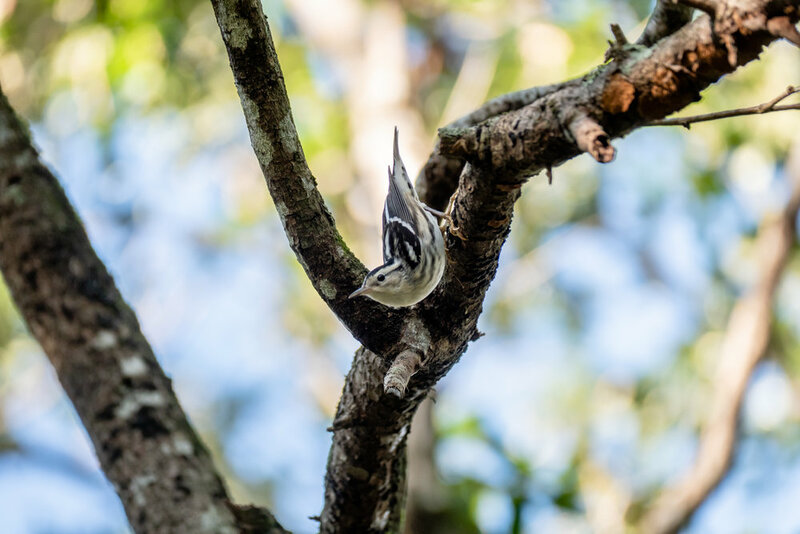 Have you ever wondered how to tell apart a Black-throated Blue from a Black-and-white Warbler, a Yellow-throated Warbler from a Common Yellowthroat, or Ovenbird from a Gray Catbird? Keep your eyes peeled - we may even see exotic species such as the vibrant Blue-and-yellow Macaw and the striking Spot-breasted Oriole. This casual walk is open to all female nature enthusiasts - whether you're a seasoned birder or have never been on a bird walk. Bring binoculars and an open mind. Don't have binoculars? Leica Store Miami will be providing optics on a first-come, first-served basis. After the walk, join the Phoebes for a picnic in the park. Bring your favorite picnic fare to share! WHAT: Bird Walk for female nature buffs of any experience level. BONUS: Join the Phoebes for a picnic in the park following the bird walk. Bring your favorite picnic bites to share! Thanks for RSVP-ing! We look forward to birding with you!